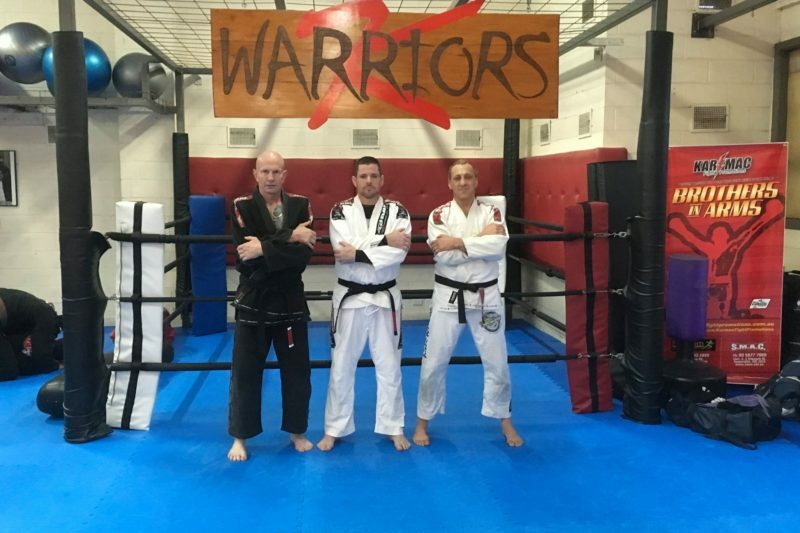 Billy Manne’s Brazilian Jiu Jitsu Frankston is a ground-based martial art that will teach you grappling, ground control and submission. Brazilian Jiu-Jitsu is designed so that a much smaller person can defeat a much larger person. It is essential to learn if you wish to become a complete martial artist as many fights end up on the ground. The Course is taught by Nick Wright, a true Brazilian Jiu Jitsu blackbelt who lives the martial art both spiritually and physically. Nick has had real world military experience where he used his martial art in real world situations against very tough opponents. He also has been successful in competition and has a loyal following of many students who train at Billy Manne’s Martial Arts school. Jiu Jitsu focuses on challenging the practitioner to constantly think about how to complete or escape a submission while under the pressure of a ground fight. With ongoing training, Jiu Jitsu will allow someone who is considerably smaller and weaker to defeat much larger & lesser skilled opponents. Many people can throw a punch intuitively but not many people naturally understand the ground game. Once you try Jiu Jitsu you will understand why it takes many years to earn your rank. Its simple but technical at the same time and it requires that your body develops certain core strengths. Most of our Brazilian Jiu Jitsu students live in and around Frankston , Seaford, Carrum, Chelsea Heights, Frankston South, Mount Eliza, Langwarrin South, Bonbeach, Karingal, Patterson Lakes, and Somerville. We will also – on appointment – visit schools or venues in these areas to run demonstration classes.